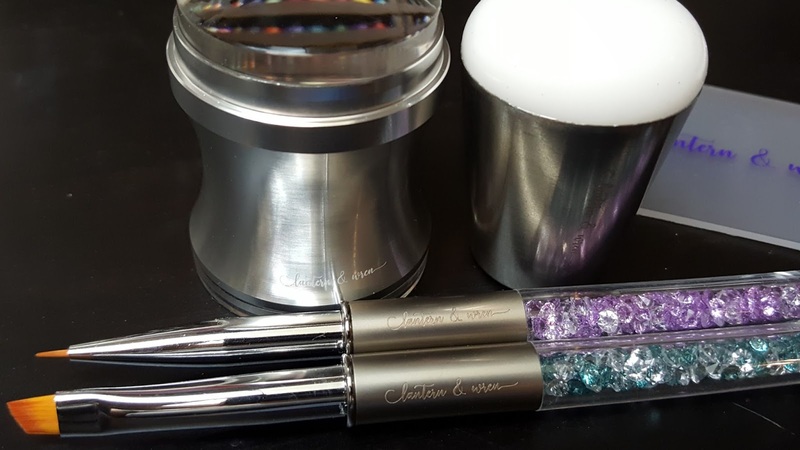 Today I have a review for some new products I purchased from Lantern and Wren and one I received as a press sample. I'm always looking for new products to test with my Moonflower Polishes since I want to make sure they will work with a large variety of stampers and plates. One of my favorite places for 1 stop shopping for nail art supplies is Lantern and Wren. Recently, Carleigh (the owner) got some custom made stampers and brushes and I had to order them, she also included an extra brush for me to review. If you've been following me for a while you might have noticed that I struggle to use clear stampers. They have become the standard stamper for most nail artists right now and I've always felt behind the times. I keep buying them in the hopes of finding an amazing stamper out there that worked flawlessly but most of the time they left me disappointed. The only way I got them to eventually work was by clouding the heads a little by priming them with acetone. I have gotten better with practice but when Carleigh posted pics of her new stamper she described it as super soft and sticky so I ordered one right away. I was not disappointed this time. I used Moonflower Polish Noche and Lina Nail Art I Foil In Love 1 and that was the result I got on my very 1st try. It's damn near perfect. The only thing I did was wash it with Dawn dish soap and let dry. 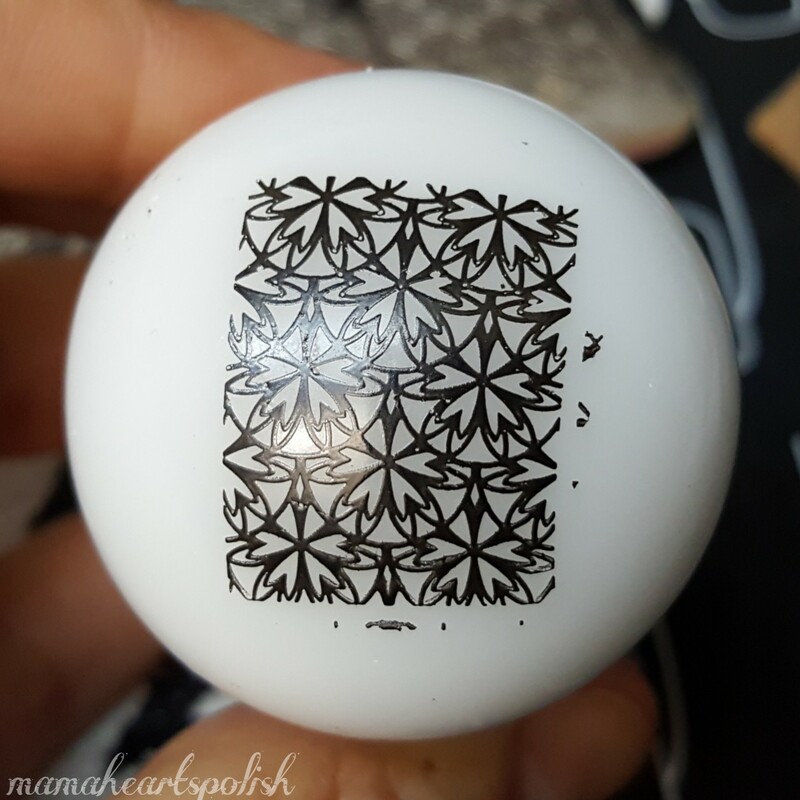 I also purchased a soft sticky white marshmallow stamper because I just love them. These were all the rage and the new "it thing" when I started stamping. I got almost perfect results as well straight out of the package. I did prime this one afterwards with a Mr Clean Magic Eraser to remove the shine on the head, cause I'm picky like that. I also purchased a new angled clean up brush, which is nice and small for my tiny hands and a detail brush. Those are hard to review in photos so just check out the video review if you want to know more. Lastly, these products are all available right now at Lantern and Wren! You can find them here, these are not affiliated links. Lantern and Wren Nail Art Detail Brush (https://www.lanternandwren.com/nail-art-detail-brush-lantern-wren-exclusive/). 9 comments on "Lantern and Wren Stampers and Brushes Review"
Very nice review. I love both of these stampers too. 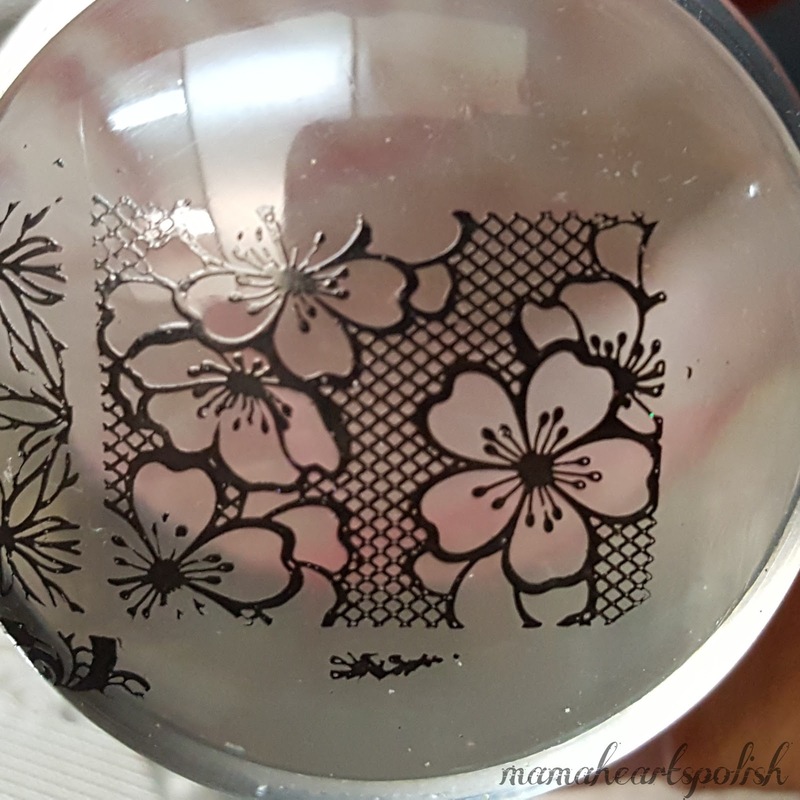 The marshmallow one is great for fine lines or shallowly etched plates that the fussy clear stampers won't pick up. I am dying to find a good stamper. I love stamping so much, but the only stamper that has ever worked for me is my old Konad stamper that I have had since 2012. lol I would love to get a clear stamper that works or even a squishy marshmallow one. I might give this one a try. I am constantly bouncing back and forth between stampers cause I never love one for long.. I may give this clear one a try. Love lantern & wren! That stamper looks awesome. Wow, that image turned out great! I gave up on stamping. it is giving me such trouble.